Bursting with energy and a distinct urban edge, the city of Rotterdam offers a rewarding base for both business and leisure travellers. Boasting one of the world’s most famous harbours, an enriching multicultural population, a lively nightlife scene and an incredible architectural landscape, this dynamic metropolis is sure to leave a lasting impression. 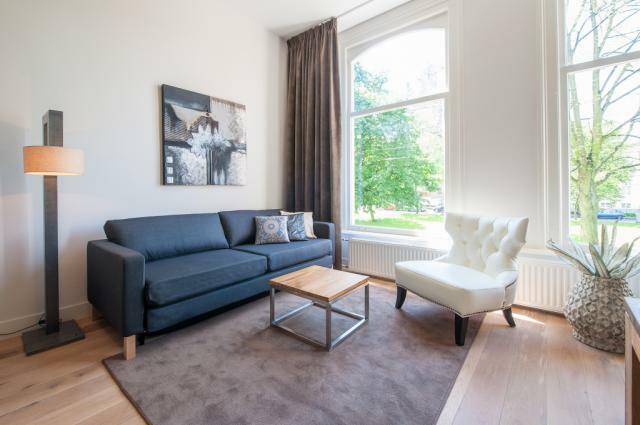 Our superb range of apartments in Rotterdam allow you to experience the city as a local and discover its endless array of treasures from the comfort of a high quality holiday home. The intercity train departs regularly from Schiphol Airport to Rotterdam Centraal. Direct trains are available and the journey generally takes about 50 minutes. Take either bus 400 or 401 from the airport to Eindhoven Station. Direct trains are available from here to Rotterdam Centraal, which depart regularly. The total journey time is approximately 2 hours. Board the stadsbus 33 at the airport and exit at Rotterdam Centraal. Direct buses depart every 10 minutes and take less than 30 minutes to reach the city. For more information on how to travel by public transport in the Netherlands, please visit the helpful and user-friendly website, 9292. 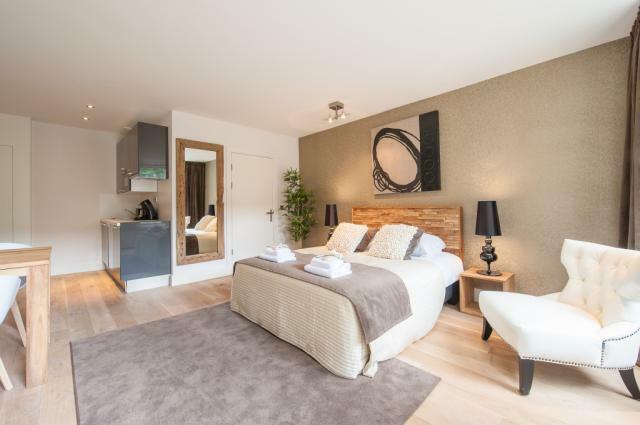 Q-Park de Bijenkorf, Aert van Nesstraat 16, 100m from Beurs – World Trade Center. Museum Park Parking, Museumpark, 150m from Museum Boijmans Van Beuningen. APCOA Parking Westblaak, Hartmansstraat 35, 50m from Witte de Withstraat. Q-Park P&R, Proveniersplein, 100m from Central Station. Q-Park De Rotterdam, Wilhelminakade 300, 50m from De Rotterdam. Street parking is also available in designated zones, although payment is only accepted by card at the ticket machines. For more parking options within the city, please check Google maps. 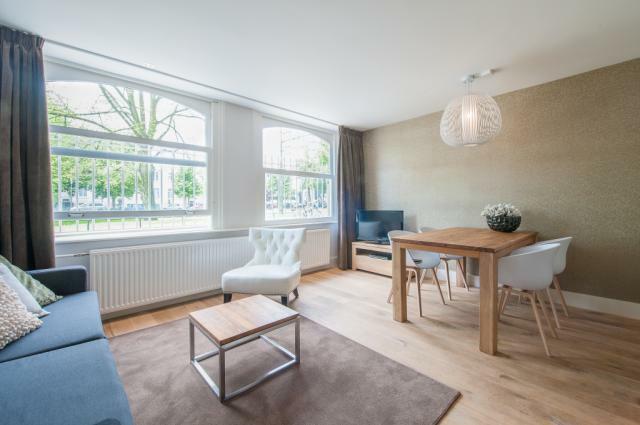 Plenty of supermarkets and food stores are available within easy reach of our Rotterdam apartments, allowing you to take full advantage of the self-catering facilities provided, with a concise selection detailed below. If you fancy a break from the kitchen, indulge in a rewarding lunch or dinner at one or more of the following recommended venues. Dirk van den Broek, Bergweg 91. Parkheuvel, Heuvellaan 21. Culinary heaven at this two Michelin starred hotspot. Zeezout, Westerkade 11b. Famed for its mouth-watering seafood dishes. Ter Marsch & Co., Witte de Withstraat. Top notch burgers and a friendly atmosphere. Rosso, Van Vollenhovenstraat 15. Continued excellence at this Rotterdam classic. Yama, Eendrachtsweg 31a. Traditional Japanese food at its finest. 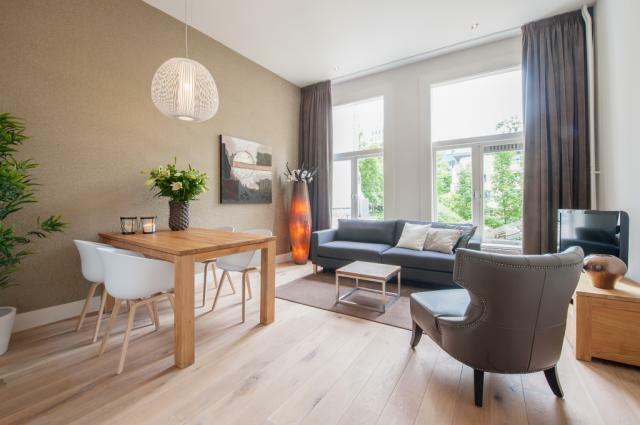 Admiraliteit, Admiraliteitsstraat 17b. Beautiful decor and delectable cocktails. Hopper, Schiedamse Vest 146. Hip café boasting the best coffee in town. Worm/Wunderbar, Boomgaardsstraat 71. Live music, film screenings and a cool vibe. Hotel New York, Konninginnenhoofd 1.Drinks on the terrace at one of Rotterdam’s most famous landmarks. Kaapse Brouwers, Veerlaan 19d. Unwind with a beer or two at this laid back local favourite. Regarded as the Netherlands’ ‘second city,’ Rotterdam provides an unassuming alternative to the Dutch capital, famed for its working class roots, pioneering architecture and authentic character. What the metropolis lacks in historical charm, it more than makes up for in a visionary outlook for the future, embracing innovative ideas in art, culture and design. Rotterdam’s incredibly diverse population enriches the city further, which also benefits from a superlative culinary scene, a vibrant nightlife and a dynamic succession of festivals and events. Situated on the River Maas, Rotterdam owes much of its reputation to its industrial heritage, celebrated for its flourishing harbour, which was once the most prosperous port on the planet. Today, the city hosts the world’s third largest waterfront and, in addition to its criss-crossing canals, subsequently retains plenty of water. Travelling by boat is one of the best ways to get around and experience a unique perspective on this captivating city. The central core was completely devastated by bombing during the Second World War and instead of electing to restore the old town to its provincial facade, this forward-thinking metropolis boldly decided to rebuild the city with modernist vigour. Smooth skyscrapers and experimental buildings began to accumulate, resulting in the contemporary skyline that dazzles to this day. Rotterdam is certainly a haven for design enthusiasts, with several of its highlights encompassing an architectural prowess esteemed the world over. One such prestigious edifice is of course the city’s primary port of entry, Centraal Station, which blends typical Dutch efficiency with arresting beauty. Aside from this recent addition to the ever-changing cityscape, Rotterdam also features the sublime Erasmus Bridge, certainly a sight to behold, the distinctive and mind-boggling cube houses, and the soaring Euromast, which can be descended by abseiling from the top of the tower for a truly exhilarating experience. Cultural gems are equally abundant, with world famous museums and undiscovered local treasures offering something to suit every discernible art lover. Recommended venues include the legendary Museum Boijmans Van Beuningen, which showcases a spectacular collection of European masterpieces from the Middle Ages to the 21st century, the original Wereldmuseum, specialising in Buddhism, and the Kunsthal; a must for fans of cutting edge exhibitions. Aside from culture and design, Rotterdam is also home to a hugely popular zoo, highly recommended for visitors travelling with children, an idyllic botanical garden, known as Arboretum Trompenburg, the picturesque Old Harbour, Feyenoord’s atmospheric stadium, ‘De Kuip,’ and the cherished Markthal. The latter comprises a fresh food market, plus a scattering of restaurants and boutiques, all housed beneath a breathtaking ceiling bursting with colour. After a busy day exploring the sights, the city supplies an abundance of top notch restaurants to satiate your taste buds and an incessant variety of bars and clubs to entertain until the early hours. Rotterdam is also known for its action packed summers, which involve a series of dance parties, a boisterous carnival, an open air film festival and numerous other events to get you in the mood. 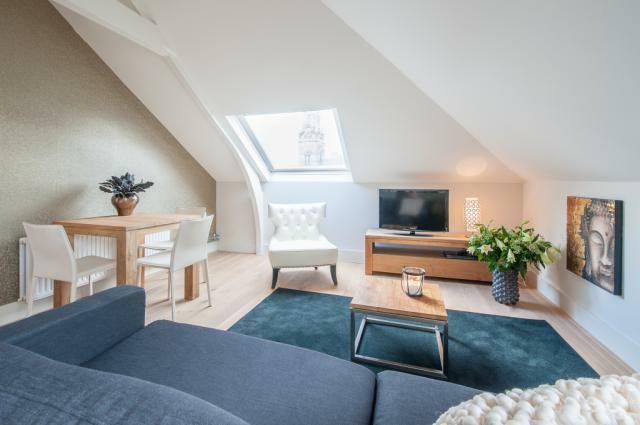 Blending such enthralling attractions with a welcoming atmosphere and an authentic charm, the city is begging to be explored from our Apartments in Rotterdam! Centraal Station, Rotterdam’s newest icon – modern architecture at its best. Markthal, foodie heaven in a colourful, inviting and utterly unique setting. Museum Boijmans Van Beuningen, an array of masterpieces at this cultural powerhouse. Rotterdam Zoo, a fun day out for kids of all ages. Watertaxi, discover the city from a different perspective.